This Green Olive Dip recipe features a creamy, salty hot dip that gets its flavor from green olives, artichokes and roasted red peppers. I have a confession to make, I don’t like black olives, I absolutely can’t stand them. But, I LOVE green olives. I can eat them by the jar full. 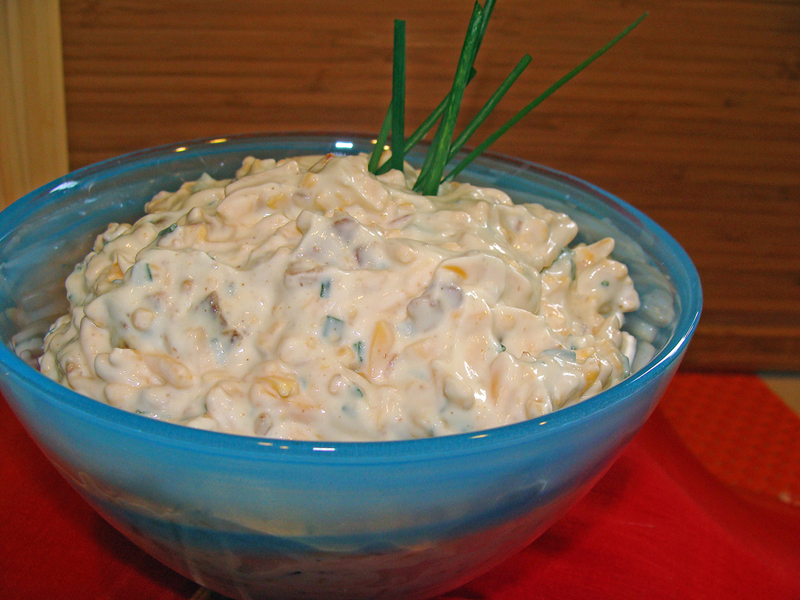 So, when I came across this recipe for Green Olive Dip it made it to the top of the list of “must make soon” recipes. The Green Olive Dip recipe comes together quickly. Throw everything into your food processor and mix, spread it into a baking dish and bake until golden and bubbly and it’s ready to eat. I served this dip with crackers but you could easily serve Green Olive Dip with sliced bread or tortilla chips. Preheat your oven to 350 degrees. Spray a baking dish with cooking spray. In a food processor, add all ingredients. Pulse until completely combined. Spread the mixture into your baking dish. Bake for 25-30 minutes or until the edges are bubbly and the top starts to brown. Serve hot with crackers, bread or tortilla chips. Serve with crackers, bread or chips. I will be featuring some Game Day Food this week in honor of the Super Bowl coming up this Sunday. This Loaded Baked Potato Dip is loaded (pardon the pun) with lots of great flavors; sour cream, cheese, onion and bacon. What’s not to love, right? Loaded Baked Potato Dip is best made ahead of time because the taste gets better the longer it sits. The obvious choice to serve this dip with is potato chips, but we all know chips are high in fat. I also serve this dip with carrots, celery or even tortilla chips. You can easily use low fat or fat free sour cream and reduced fat cheese if you want to cut back on the fat content. And of course, when you are done frying your bacon place it on paper towel and blot off the fat. One tidbit, these steps will help cut back in fat and calorie content. This dip is even better when made a day ahead to give the flavors a chance to come out.